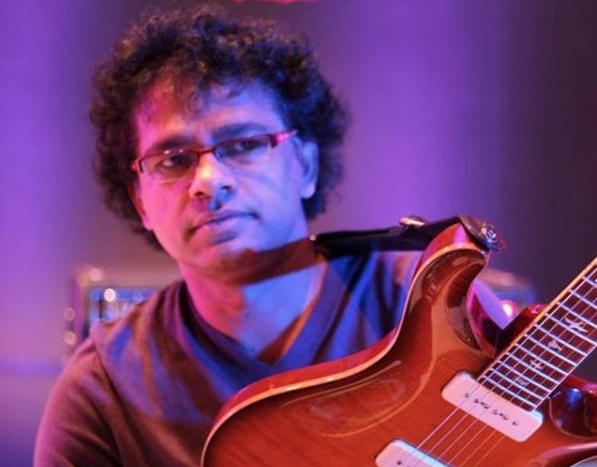 Prasanna is the world’s most well known guitarist in Carnatic music and has been a major influence on thousands of guitar players worldwide. For his Sept 3rd show, he will focus entirely on the Carnatic repertoire including songs by legendary Carnatic composers such as Tyagaraja and others alongside Prasanna’s Carnatic raga based Originals which blend many other musical styles. Longtime Prasanna favorites Manu Koch and Harvey Wirht will be on Piano/Keys and Drums respectively giving Prasanna’s arrangements of traditional Carnatic songs an edgy and contemporary sound. No Replies to "The Carnatic Face of Prasanna"